Imagine Count Dracula for a moment. What do you see in your mind? Is it a pale-skinned person with dark hair? Do they have some nasty fangs and perhaps a dribble of blood trickling down their face? Now, what are they wearing? He’s probably wearing some kind of luxurious cape in your mind’s eye! That’s because wearing a cape is almost a requirement for being the most well-known vampire of them all! If you plan on dressing up like a vampire this year, then you won’t want to miss out on this exclusive cape. 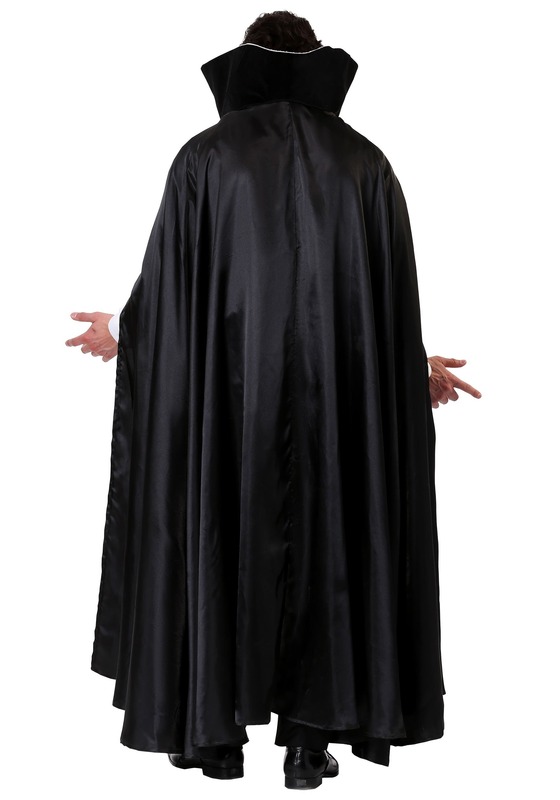 This adult cape has adds the sinister style you need for your vampire costume. The satin fabric cloak is a deep black color, as dark as the evil Count Dracula’s soul! The cloak fits with a metal chain around the neck. It fastens with a lobster-claw style clasp. The wide collar stands up, since we all know that vampires were popping the collar way before it was cool in the modern age! 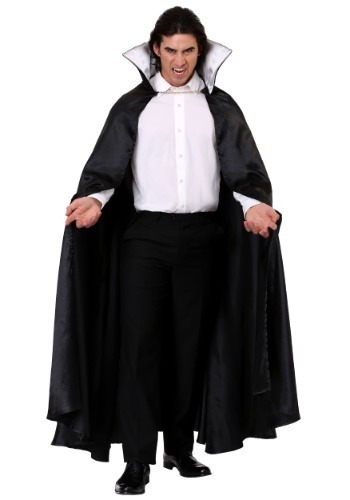 Add this cloak to your vampire costume and you’ll instantly feel like the lord of the night! You can also just wear it with your own white shirt and black pants to make for an instant vampire costume.